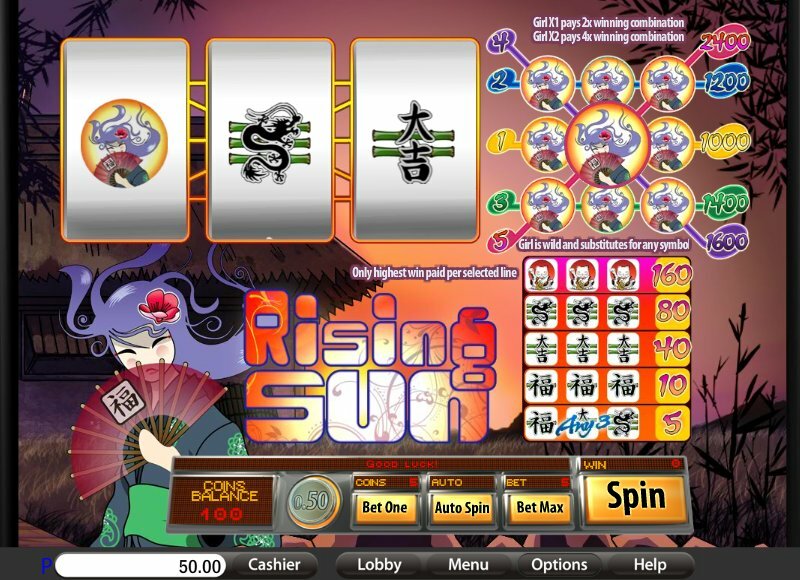 Overview: Journey to the Far East and experience the joy of the Rising Sun in this video slot version of our classic Japanese themed game. WIN UP TO 2,400 COINS! 5 LINES, 1 COIN, WILD X 2 MULTIPLIER! Similar Slots: If you like Rising Sun, you might like these other slot machines from Saucify: Cash Puppy, Diamond Dare, Diamond Dare - Bonus Bucks, Mermaid Serenade, Pina Nevada, Scorching Sevens.